I absolutely LOVE our new Brother label maker. 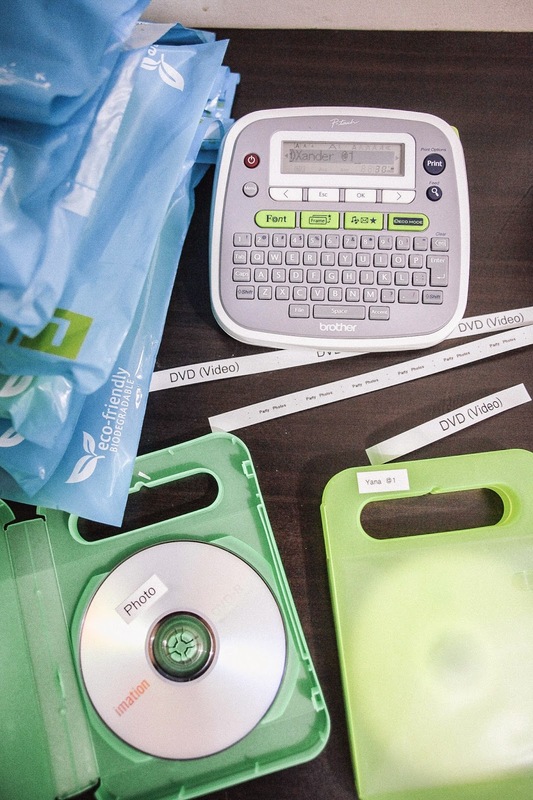 It's amazing how much fun you can have with it, especially in organizing and sticking labels on DVDs for our photo-video business. Super useful, handy, practical and so easy to use. They also have an excellent customer service and I'm quite satisfied with their products and services. Speaking of customer service, Brother International Philippines Corporation (Brother Philippines), a leader in home and business IT peripherals, recently launched its Customer+ Loyalty Program which aims to create a life-long customer relationship that focuses on brand and service excellence. Brother executives and celebrity supporters recently gathered to celebrate the launch of the company’s Customer + Loyalty Program at the Makati Shangri-la Hotel. The Brother Customer+ Loyalty Program is a fully integrated customer program which offers comprehensive training sessions for new and some 7,000 plus existing Brother printers and multifunction center customers in Metro Manila. The program likewise sends regular updates on machine information, consumables, service, survey and more importantly, special trade-in offer given two years from the time customers become Customer+ members. Celebrities Troy Montero, Patty Laurel, Jeron and Jeric Teng, Ginoboi Quillamor, Marc Pingris, Danica Sotto-Pingris, Patricia Prieto, Ginger Conejero, and LA Tenorio were also present to support the event. Brother’s Customer Plus Loyalty Program launch with celebrity supporters. 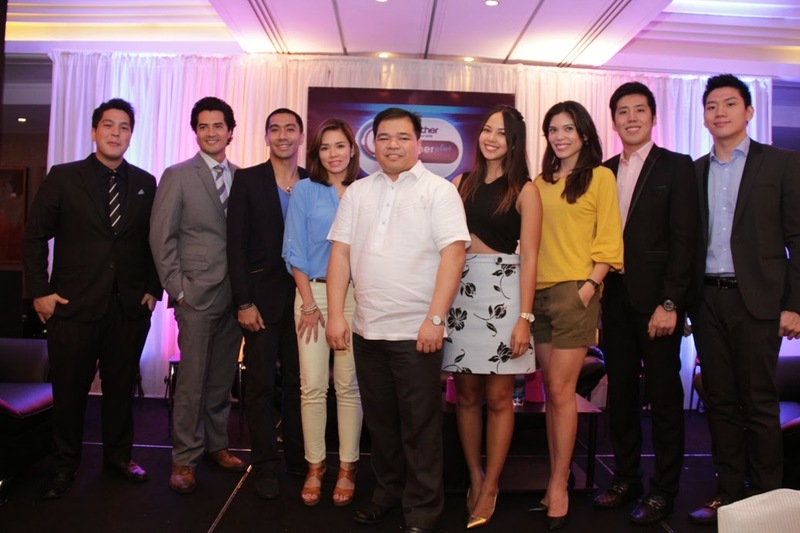 Brother Philippines President Glenn Hocson, (fifth from left) led the launch of the company’s Customer + Loyalty Program at the Makati Shangri-la with Brother celebrity supporters; Ginoboi Quillamor, Troy Montero, LA Tenorio, Danica Sotto-Pingris, Patricia Prieto, Ginger Conejero, Jeric and Jeron Teng. In photo during the launch (from left to right, back row) are Mr. Kamenouchi, Mr. Tada, Mr. Noji, Ms. Iwadare, Mr. Demanarig, Mr. Shima, Mr. Goto, Mr. Kasagi and Mr. Hocson. Joining them (from left to right, front row) are celebrity guests LA Tenorio, Ginoboi Quillamor, Danica Sotto-Pingris, Patricia Prieto, Ginger Conejero, Jeron and Jeric Teng. Also present during the event were Isao Noji, General Manager of the Sales and Marketing Department handling Asia Pacific and Japan, and the Global Marketing Department of Brother Industries Ltd.; Yumiko Iwadare, General Manager of the Sales and Marketing Department handling the US and Europe of Brother Industries Ltd.; Takao Shima, Manager for Sales and Marketing for Japan and Asia Pacific of Brother Industries Ltd.; Masakazu Goto, Senior Team Manager of the Sales and Marketing Department handling the US and Europe of Brother Industries, Ltd.; Shinji Tada, Managing Director, ASEAN, of Brother International Singapore Pte. Ltd.; and Masao Kasagi, Deputy General Manager for Sales and Marketing, Brother Philippines. Customers also gave testimonials on the comprehensive training they were given to be able to maximize the use of their Brother printers. They said that through Brother’s various activities for their customers, they are getting more value from their purchases. Have you tried any product from Brother Philippines? Share them in the comments below. Nice. I love brother. Haven't received my personalized calendar of me yet though. Excited for it.